For a Caribbean beach vacation like no other stay at some of the worlds most exclusive hotels, like the Sandy Lane Resort. 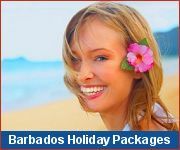 Miles of sandy beaches stretch south and north past top hotels such as Coral Reef Hotel, The Sandpiper, Cobblers Cove and more along this west coast of Barbados. 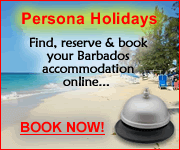 On the South coast of Barbados try full service hotels, like Southern Palms in the St Lawrence Gap, to combine days of lazy beach living with hot nights in famous Barbados night clubs. Beach living options include: beach cottages and Villa hotels, luxury beach front hotels with full hotel service, rugged east coast living with stunning seascapes, board surfing, waves, rocks and sand. Caribbean tide pools and inshore reefs, are great for foraging and popular with families. For exercise and soulful contemplation, nothing beats a walk along a beach with miles of endless sand. Enjoy the white sand beach and endless sunshine when you stay at Inchcape Seaside Villas, a selection of beautiful beachfront vacation houses and apartments.